Before Brooklyn became an international brand it was a hodgepodge of industrial landscapes, cheap artist dwellings, ethnic enclaves and cottage industries. The same still holds true today — though with plenty more design stores, ATMs, fancy hotels and fierce street-style moments. 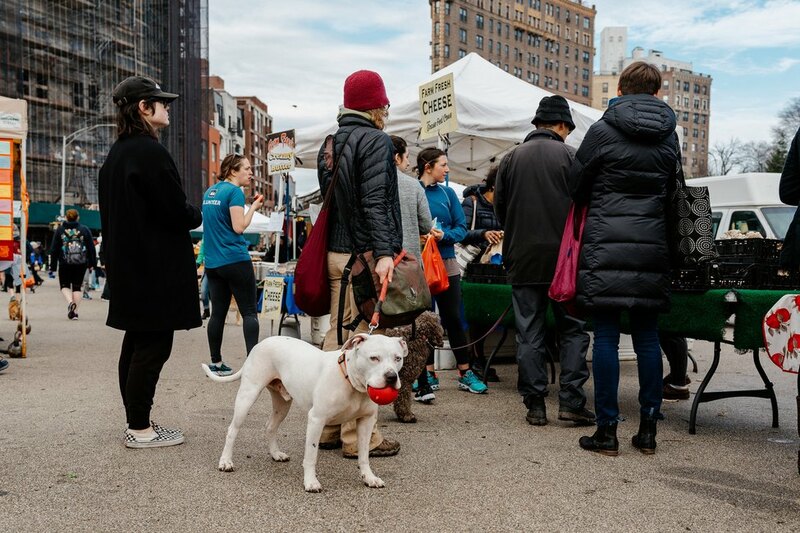 The redeveloped waterfront, new ferry service, improved bike lanes and boho tendencies have revealed a softer, healthier side to the borough. Of course, there's still plenty of bagels, cheesecake and undiscovered indie bands. Balance is key. 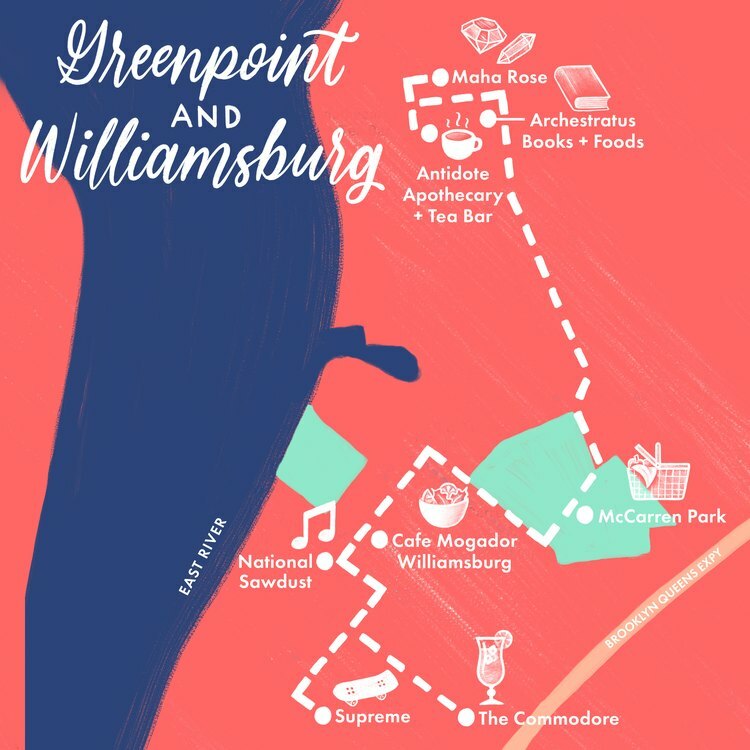 Since the early 2000s, Williamsburg has become synonymous with the hipster mustache and indie rock halls. 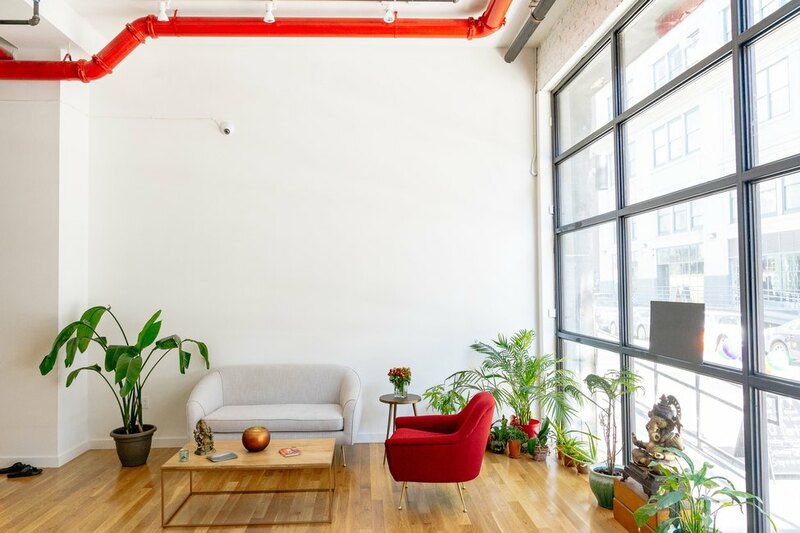 Its proximity to Manhattan via the L train makes it convenient, but with the feel of being a place that's distinctly "other." Its neighbor Greenpoint has also long since graduated from being an area on the edge (maybe filming HBO's "Girls" here had something to do with it) to one that features seasonal restaurants and upscale bars alongside historic buildings and the Polish businesses that have traditionally dotted the neighborhood. Brooklynites pioneered the "third wave" coffee craze, and now things like lavender and licorice are not uncommon in a morning cuppa. 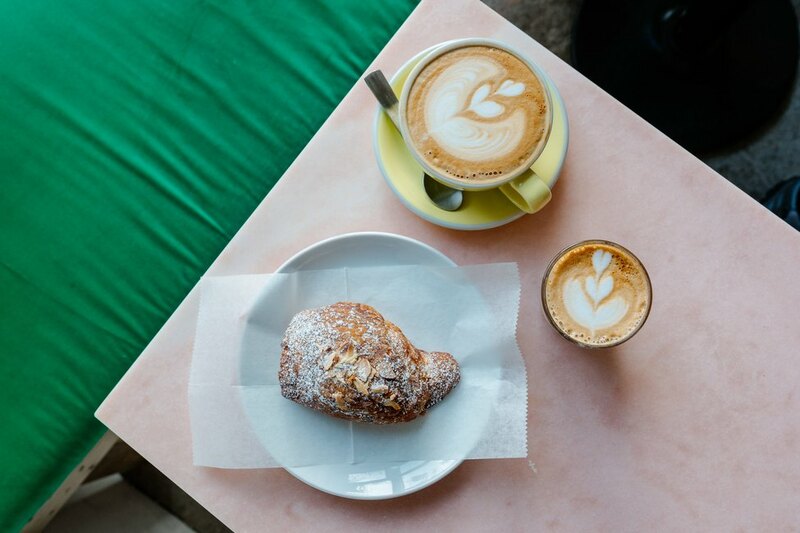 For a slight buzz without the java jolt, start your day with the baristas at Antidote Apothecary + Tea Bar. They sling a concoction that includes essence of rose and matcha — in latte form. The shelves are stocked with skin tonics, cleansing oils and therapeutic tea blends with names like Beesh Don't Kill My Vibe Anxiety Blend and Shiny Happy People Digestive Tea. In this era of self-help happenings, there are also classes to take: candle carving, pet medicine and kombucha fermentation. 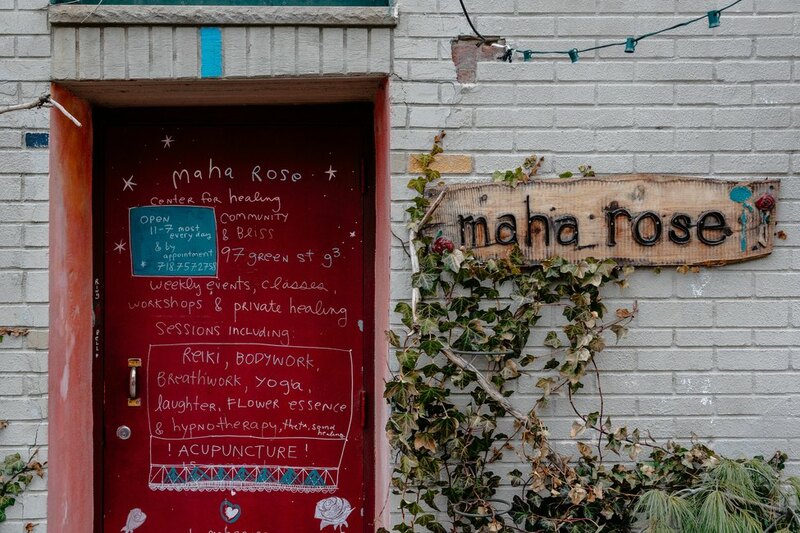 Keep the good vibes going as you head on to the Maha Rose Center for Healing. People used to have to travel to Oaxaca or Sedona or Southeast Asia to explore energy vortexes and alternative healing therapies. Now they only have to go as far as Greenpoint, Brooklyn, to experience reiki, hypnotherapy, sound bathing and more holistic teachings. 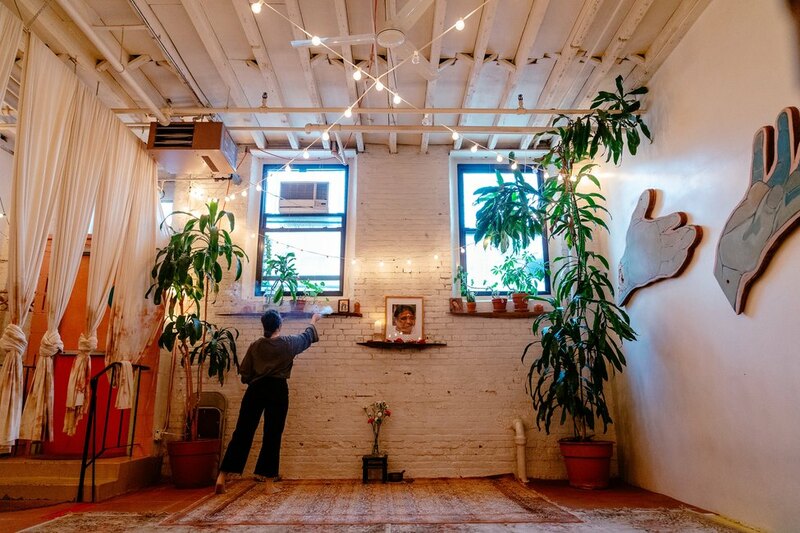 Owner, acupuncturist and jewelry designer Lisa Levine transformed her cozy living space into a dream-catching wellness center and shop with crystals, incense and woo-woo accessories for unlocking the mysteries (or just embracing the energies) of tarot, astrology, meditation and intuitive therapies. 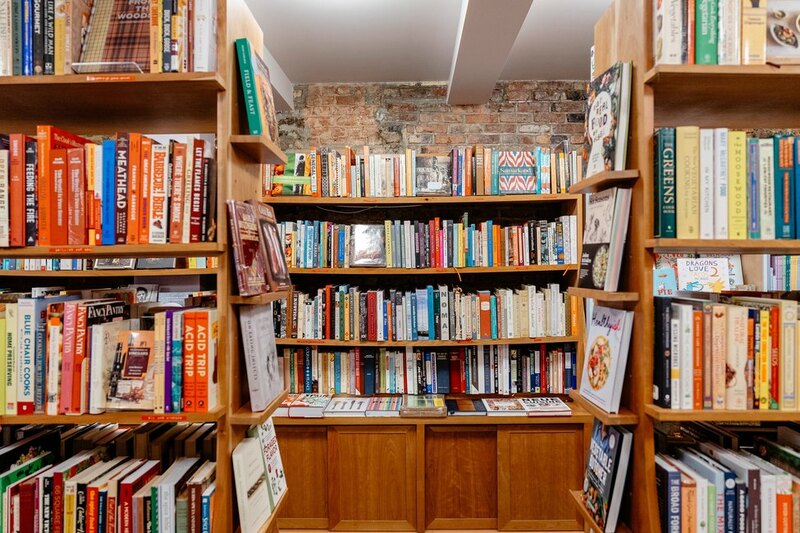 Stroll over to cookbook-themed bookshop Archestratus Books + Foods to whet your appetite before lunch. There are nearly 4,000 interesting and rare gastronomic tomes, manuals, memoirs and manifestos, plus an Italian-inflected cafe where the owner riffs on her nonna's recipes for things like broiled eggplant, arancini and pistachio cookies. Cruise through the see-and-be-seen McCarren Park, which somehow simultaneously serves as a catwalk for fashion-forward Brooklynites, a hub for soccer games, a track for sprinters and a respite for the baby-stroller set. In summer, everyone fills up the big outdoor community pool and the handball courts, and picnics and lawn barbecues stretch as far as the eye can see. 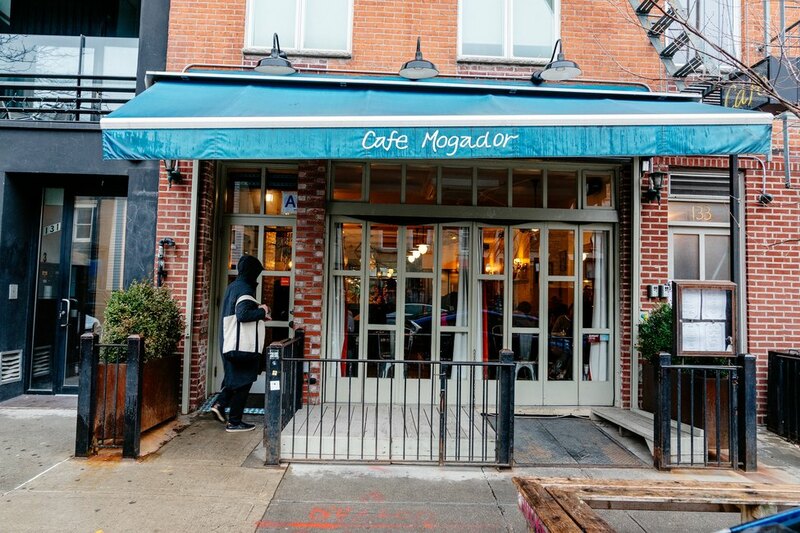 Stop for lunch at Cafe Mogador, a New York institution. The East Village outpost opened in 1983, a lifetime ago in city years. The Williamsburg outpost opened a more modest decade ago, but all the spirit of the original survives here. A quirky cast of characters serves as the staff; fresh Mediterranean and Middle Eastern fare is served with flare. 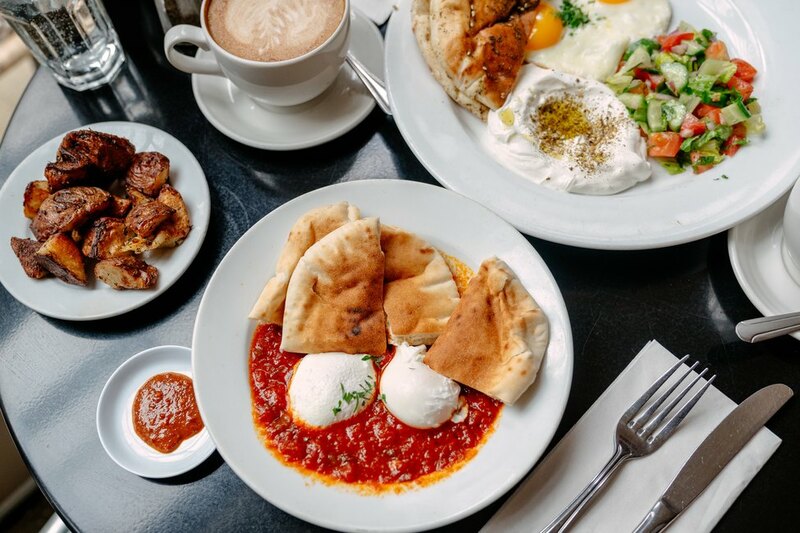 Roti, mixed grill, Moroccan tagines, and house-made breads are consumed voraciously by regulars and newcomers alike. Good people-watching and unhurried magazine-reading or neighborly chatter can (and should!) follow. Skate shop Supreme has been a cult icon since the '90s, when people would gather to watch videos and practice tricks on the uncommonly wide stretch of Lafayette Street. An obsessive fan base means epic shopping lines that snake around the block when limited-edition streetwear releases drop. The big, new Brooklyn outpost has the same fresh merch and rabid following, a large flatscreen playing skate videos and a raised wooden skate bowl toward the rear (reserved for friends and family, it's known to be deep and fast) for snapping photos of crazy tricks on decks. 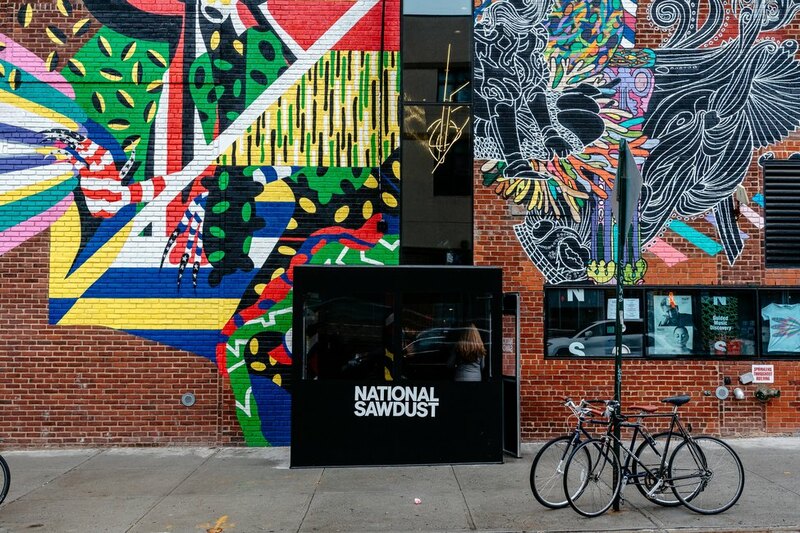 Walk down to National Sawdust, where cutting-edge modern music is the name of the game. The high-design, black-and-white modular venue has featured performances from the likes of Four Tet, John Zorn and the New York Philharmonic. 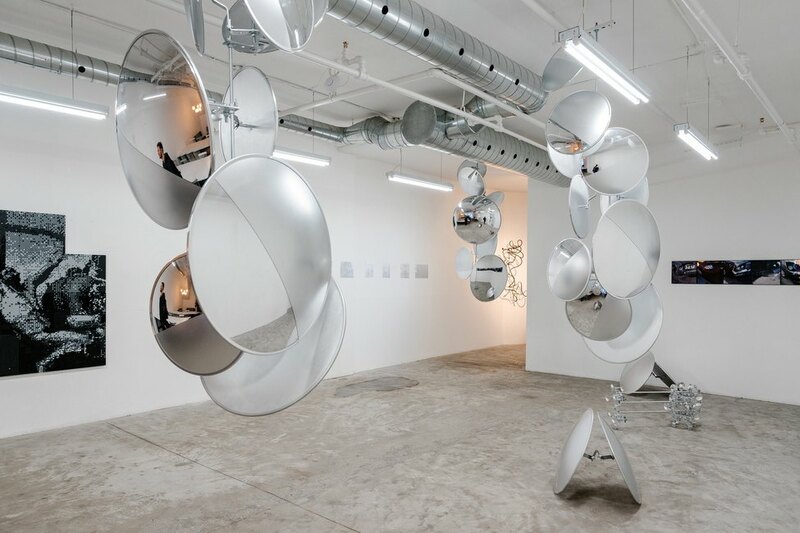 It opened to great fanfare from New York's avant-garde circles in 2016 and is outfitted with perfect sound and guided by an impressive roster of creative minds: Meredith Monk, Philip Glass, James Murphy, Helena Christensen and Bryce Desner of The National. After a relaxing early evening back at your hotel or Airbnb, get out there and see some music! Williamsburg was made for late nights. 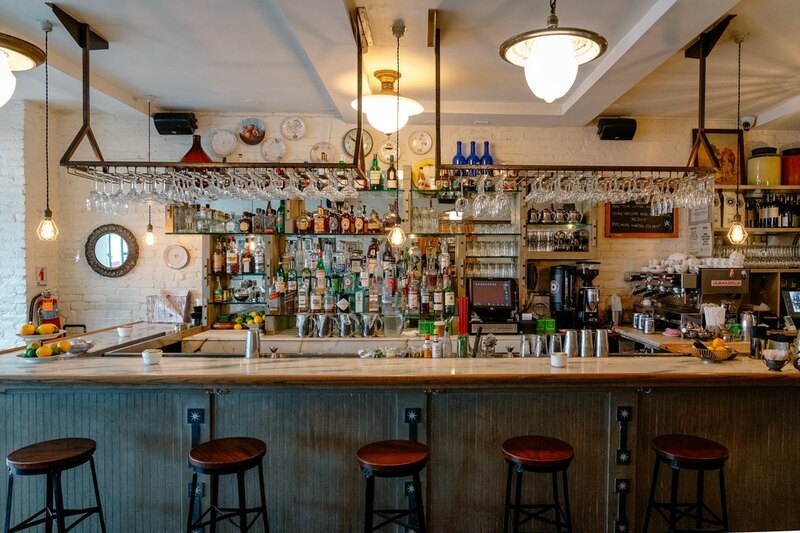 After the show, make the stroll through the neighborhood — past the pizza shops and the bodegas, the dive bars and the row houses — and walk right through the door at The Commodore (366 Metropolitan Avenue). Behind a dilapidated storefront is a boisterous saloon where you can order tiki-esque drinks with fresh fruit along with extremely tasty Southern biscuits and fried chicken served hot and crispy. Depending on your level of biscuit intake, you'll probably want to walk all the way back to your hotel. 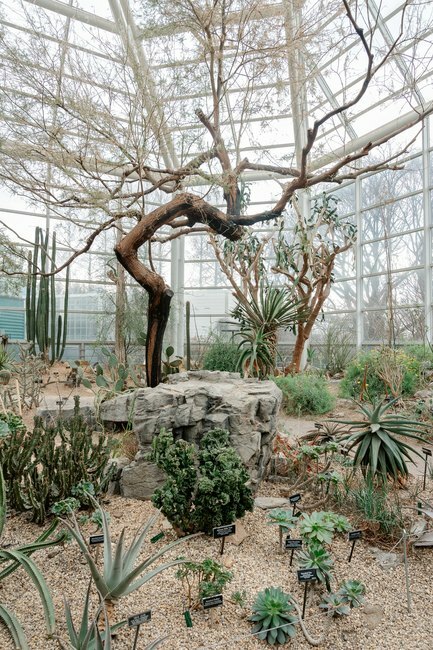 Prospect Heights is home to Brooklyn_'_s art museum and botanical gardens, which rival Manhattan__'__s offerings on the other side of the East River and are a welcome respite to city life. 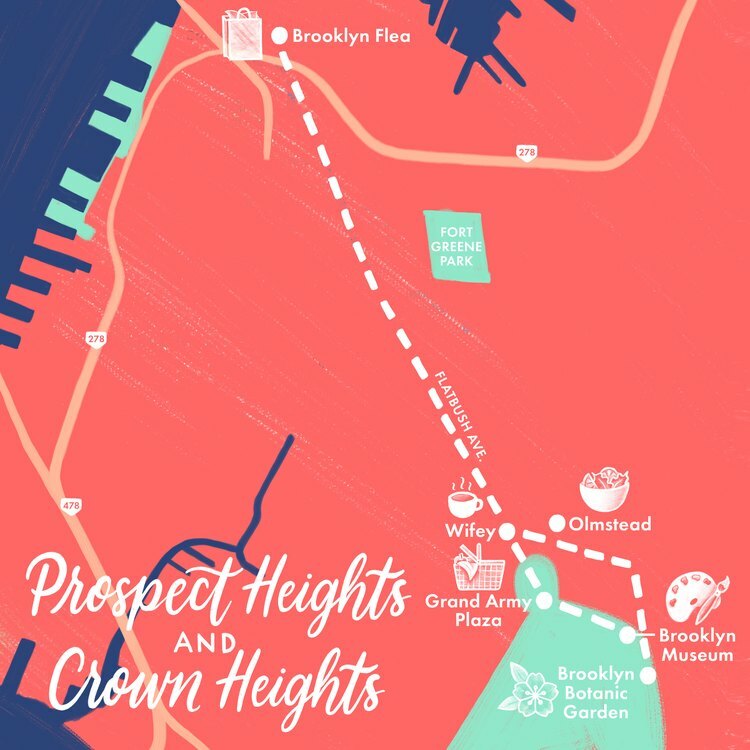 Next door is Crown Heights, a fast-changing neighborhood that's become famous for its restaurants, coffee shops and the Brooklyn Flea. Fill your head with art and coffee at Part Deux, a minimalist coffee shop and art gallery on a somewhat unremarkable-looking stretch of Flatbush Avenue. There's a big, open room with a spacious communal table where neighbors quietly work on laptops or nibble on freshly made sandwiches. It's rare to find so much space and emptiness in NYC, and that in itself feels like a treat. 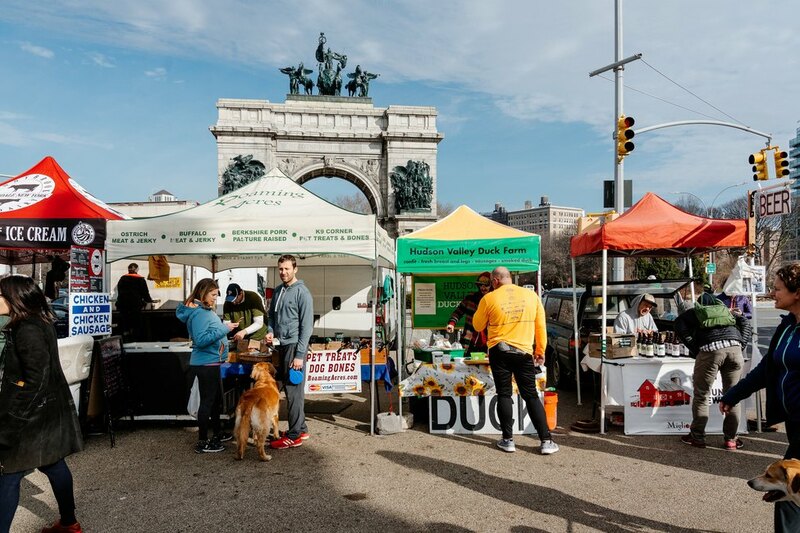 You are a stone's throw from Grand Army Plaza, the entrance to Prospect Park and, if it's Saturday, the home of the Greenmarket, a big setup of fresh fruits and veggies under tents where Brooklynites stuff their bike baskets with cut flowers, local honey and fresh bread. There's good people-watching and a natural excuse to wander the truly lovely grounds of Prospect Park, Frederick Law Olmstead's other, better park (Central Park's chief architect said he preferred the Brooklyn version). You could spend hours here, for sure. But if you want to amble with a sense of purpose, head to the seasonal Brooklyn Flea at Breeze Hill, where a multitude of local makers sell their crafted ceramics, collectibles, vintage clothes, handmade furniture and inventive street foods that will keep you filled clear through till dinner (check times and dates). 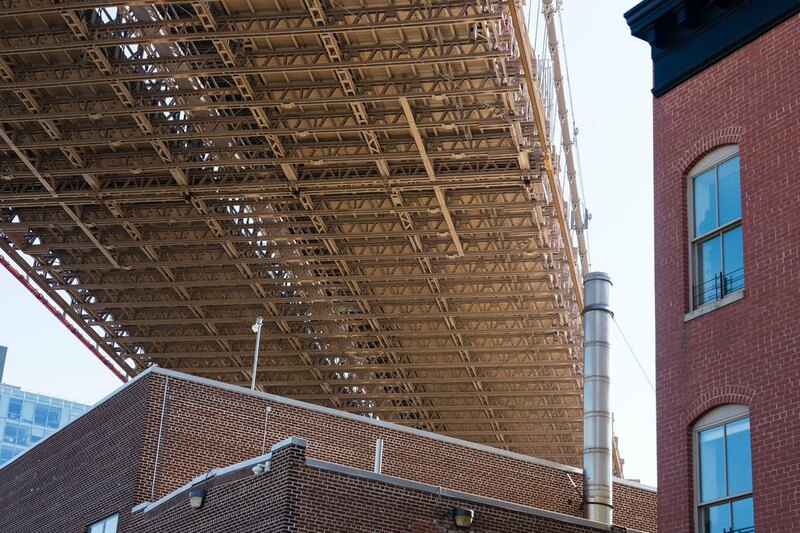 This stretch of Brooklyn offers unparalleled walking routes to incredible institutions. 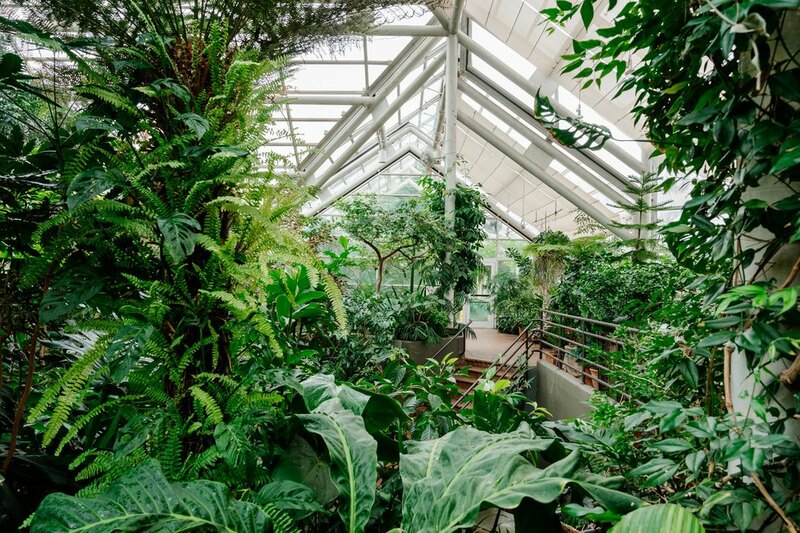 The park sidles up to the Brooklyn Botanic Garden, a series of gardens, lawns, pergolas and landscaped paths over a century in the making. The Japanese Hill and Pond Garden is worth the trip alone, but most people flock to the great lawn of cherry blossoms in the spring — an explosion of pink petals raining down for a few weeks a year. Blooms of wisteria, magnolia, bonsai, rose and native flora draw herons, bees and botanists alike. 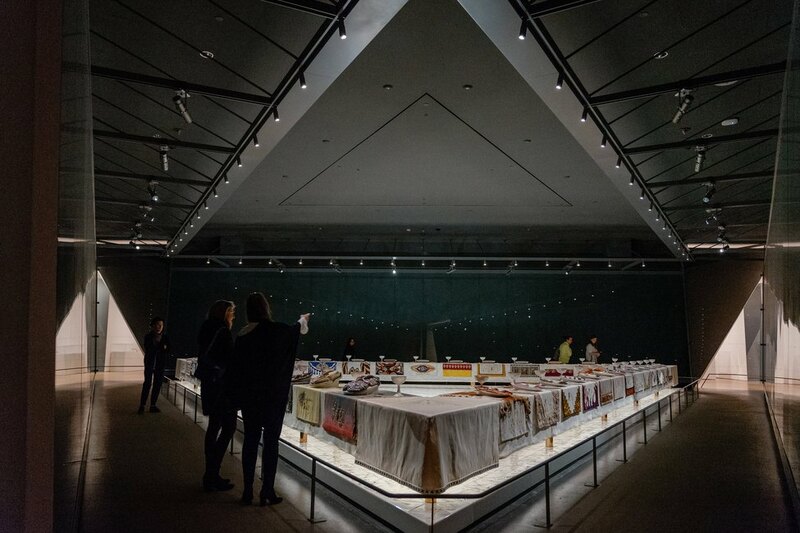 The Brooklyn Museum is adjacent to the Botanic Garden, and it's worth a look — if only for Judy Chicago's seminal feminist work "The Dinner Party," a giant triangular table set in anticipation for a dinner party of history's most enduring female icons. The museum has upped its game over the past several years, bringing in the likes of Kehinde Wiley, Swoon, Murakami, Kiki Smith and Ai Weiwei for installations and events. There's African and Egyptian antiquities as well as architectural marvels in the museum's period room collection. 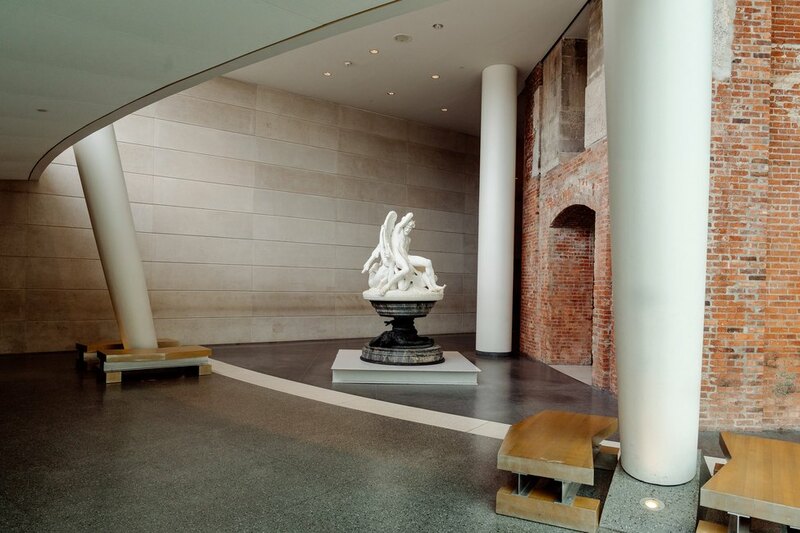 The museum hosts a free party and late hours the first Saturday of every month. For dinner, Olmsted offers fancy farm-to-table dining — and it has the accolades to prove it. 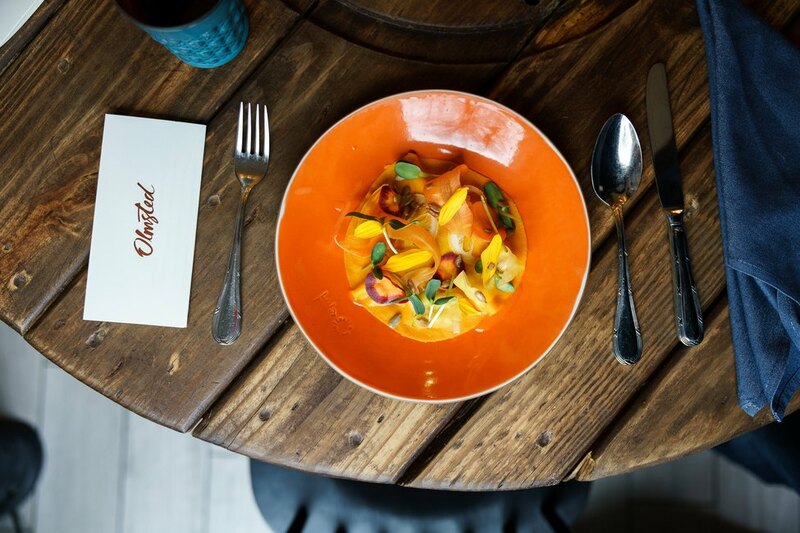 The joint venture from former Blue Hill and Atera alums has become something of a culinary darling (be sure to make reservations in advance). 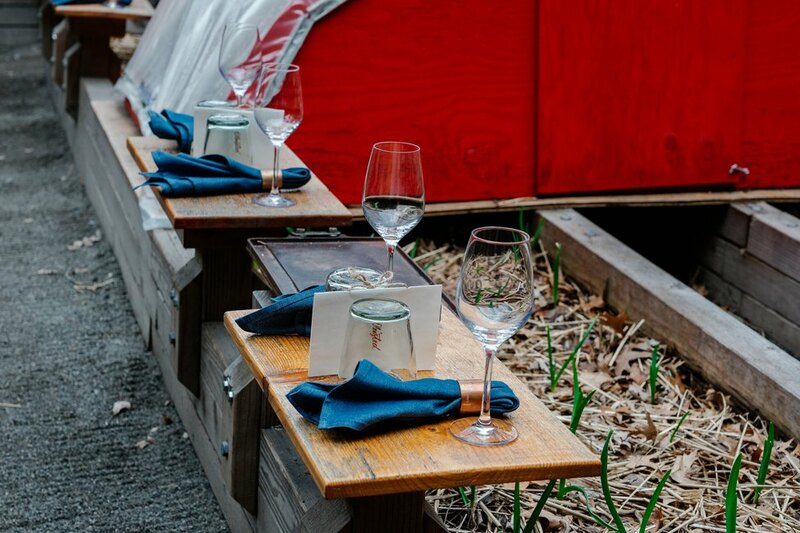 There's a sweet backyard that is just where you want to be on a beautiful spring, summer or autumn night (the restaurant will lend you a blanket accordingly). 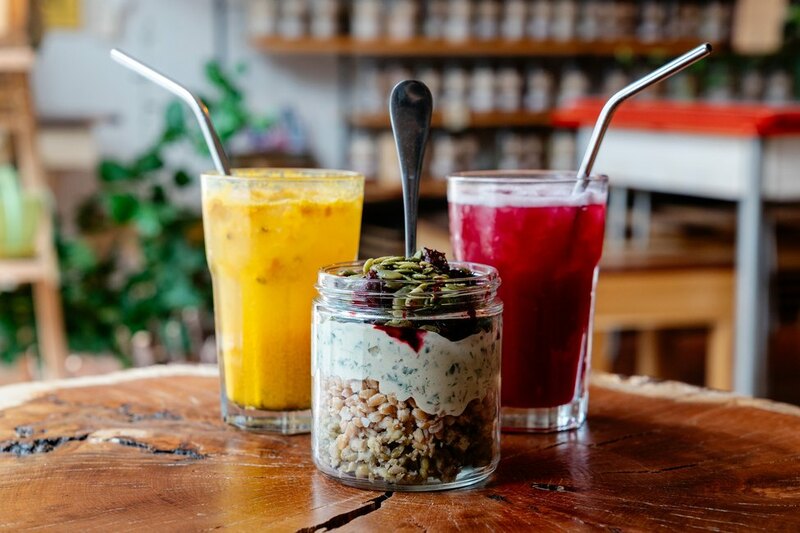 The New Brooklyn dining experience everyone talks about can be tried firsthand with a dinner of delicate vegetable crepes, wholesome Japanese-inspired porridge and frozen yogurt with lavender honey. Dumbo, which stands for Down Under the Manhattan Bridge Overpass, was historically a factory district and shipping hub, braved only by intrepid dance-party enthusiasts as it started to gentrify in the late 1990s. Now it__'__s a brazen mecca of dot-com offices, fancy loft apartments and design stores. 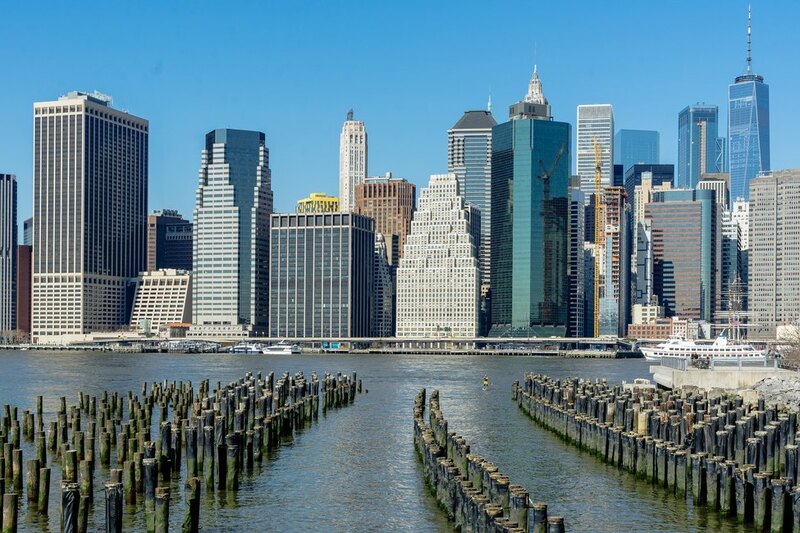 But one thing hasn't changed — the unbeatable views of the Manhattan skyline. 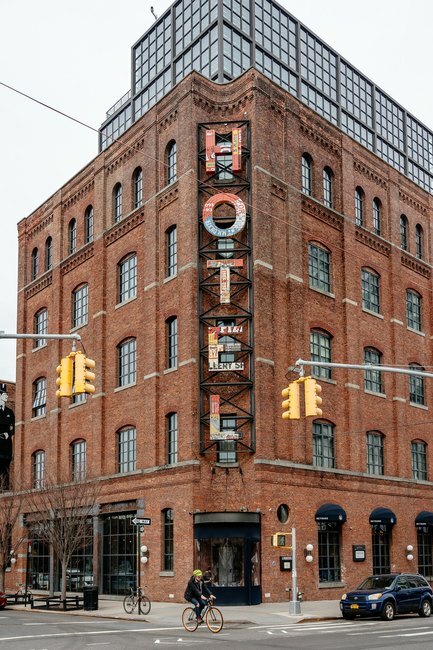 1 Hotel Brooklyn Bridge is an eco-chic hangout spot with a maritime feel and epic views of the East River as well as the Manhattan skyline. 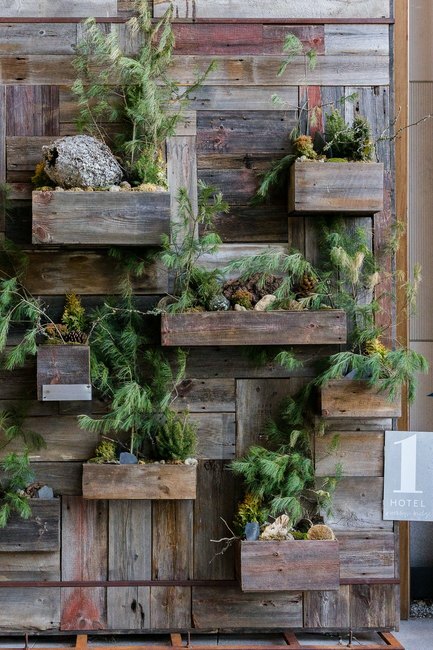 If you appreciate things like plant walls, raw textiles and reclaimed wood, you will find your people here. 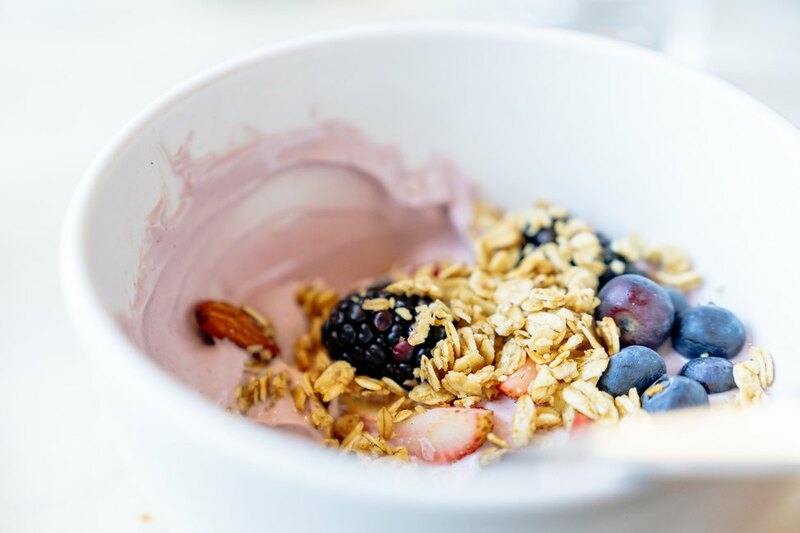 Light breakfast at its mellow restaurant Osprey will start you off right (look for the corn pancakes and White Moustache yogurt with granola). 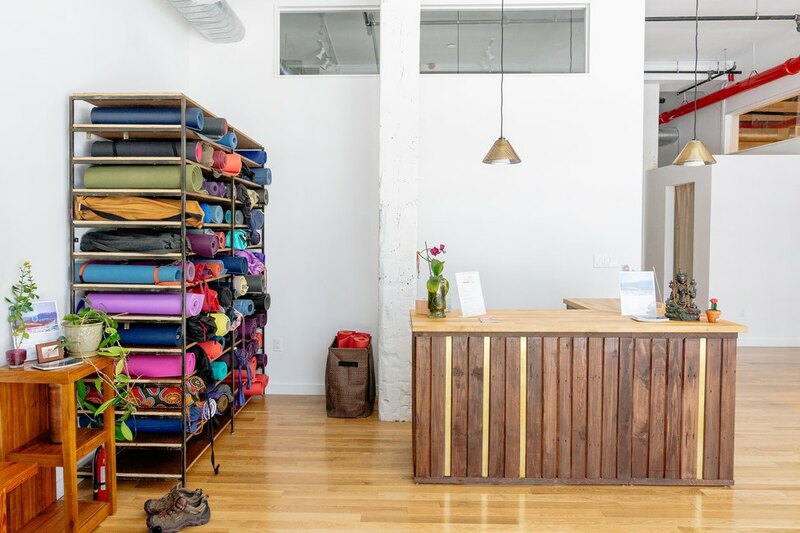 Abhaya Yoga, for all levels, makes a good spot for you and a travel buddy or two to get together and stretch. (All that walking around and sound pollution takes its toll on the body.) The studio places a high value on education, so guided practice is functional and relaxing. Its new space, on Pearl Street in Dumbo, is all white brick and wood floors. Roused your appetite? 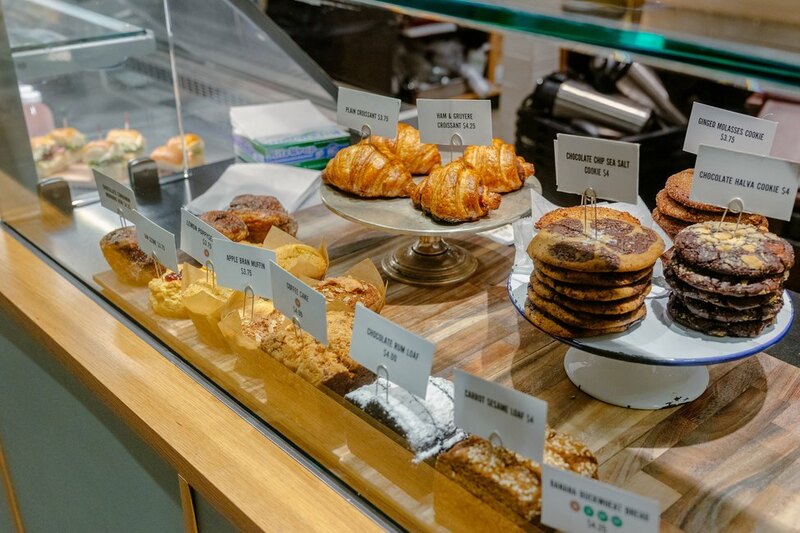 Smile to Go, an offshoot of the popular Manhattan cafe The Smile, offers delicious homemade baked goods and sandwiches — plus options for those looking for dairy- and gluten-free alternatives. If it's a beautiful day, take your snacks for a picnic on the waterfront of Brooklyn Bridge Park. 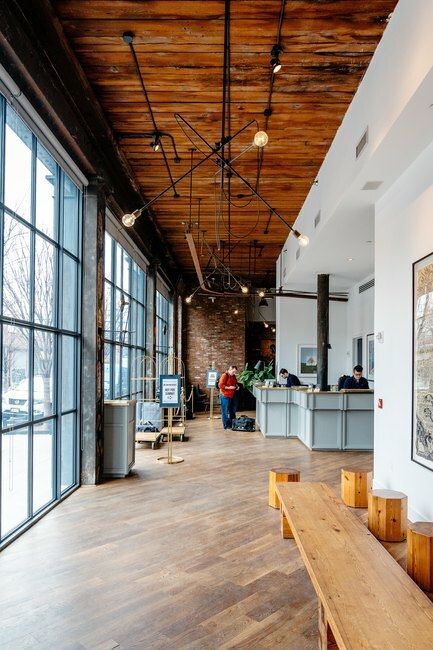 The counter-serve spot is one of many handsome establishments in the Empire Stores complex, an old shipping warehouse retrofitted with cool offices and places to hang out during cold weather. On to the main attraction: Dumbo's rejuvenated waterfront. You could spend the day taking advantage of the views and the volleyball courts, water features and fields of turf jutting out into the river. 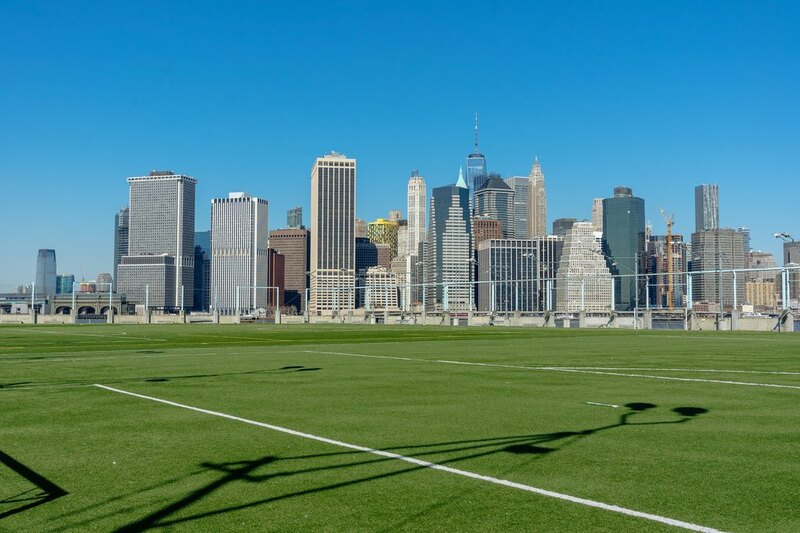 Pier 5 and Pier 6 of Brooklyn Bridge Park have big, open landscapes (10,000-square-feet each), a flower field, barbecue grills and picnic tables, a dog run and incredible playground for kids and access to the free ferry to Governor's Island. A seasonal bar on a schooner, Pilot, makes for a very pretty, preppy watering hole on the water in the summertime. 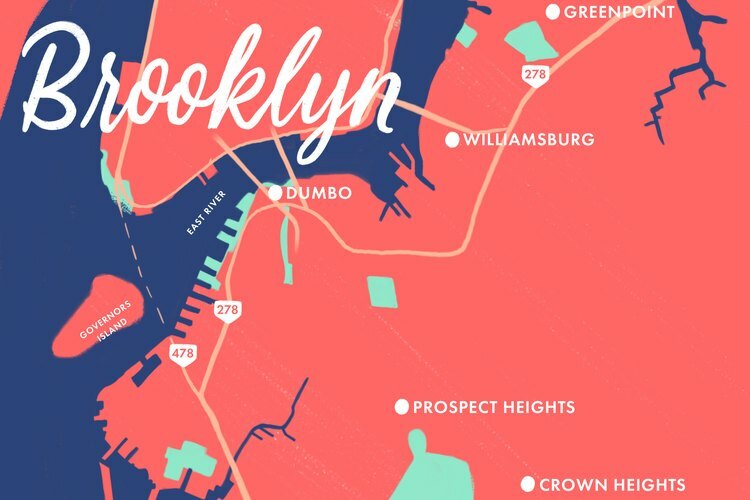 It's only a 20-minute walk back to Dumbo's main drag, but you could hop on the ferry for a breezy trip back and a good look at Brooklyn from the other side. Keep on theme with a Barge Music performance as you float into the evening. The floating concert hall rocks gently as the chamber ensemble tunes up to play for an hour to anyone who wanders in (first come, first served on Saturdays at 4 p.m.) or to ticket holders who would like to build their sea legs while listening to duos for violin or trios for piano. Or maybe you'll like to top off the night with a performance that challenges the mind? 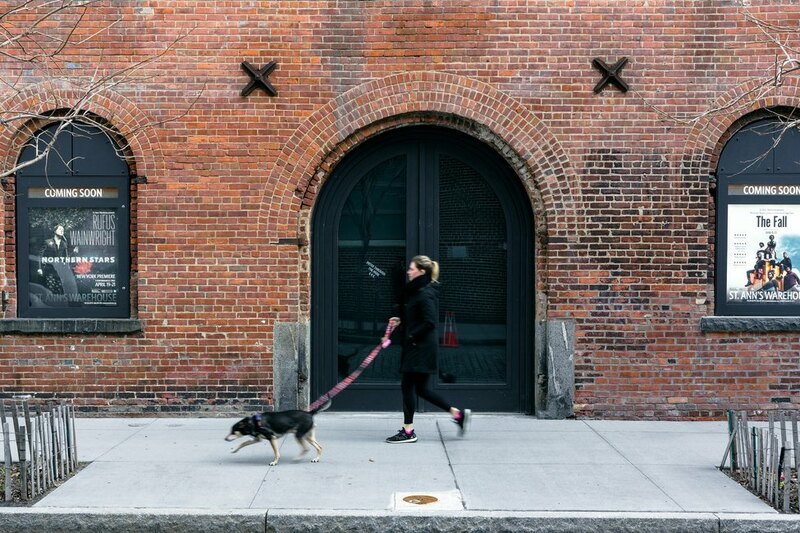 The avant-garde stylings of nearby St. Ann's Warehouse are hidden in a 19th-century tobacco factory. It just doesn't get any more Brooklyn than that. Jeralyn Gerba is the co-founder and editorial director of the travel site FATHOM. You can follow her on Instagram at @jgerba and @fathomwaytogo.